1. Structure and Active Domains of Heparin. 2. Structure and Function of Cell Associated and Pericellular Heparan Sulfate. 3. Methods for Structural Analysis of Heparin and Heparan Sulfate. 4. Synthetic Approach to Define Structure-Activity Relationship of Heparin and Heparan Sulfate. 5. Biochemical and Pharmacological Rationale for Synthetic Heparin Polysaccharides. 6. 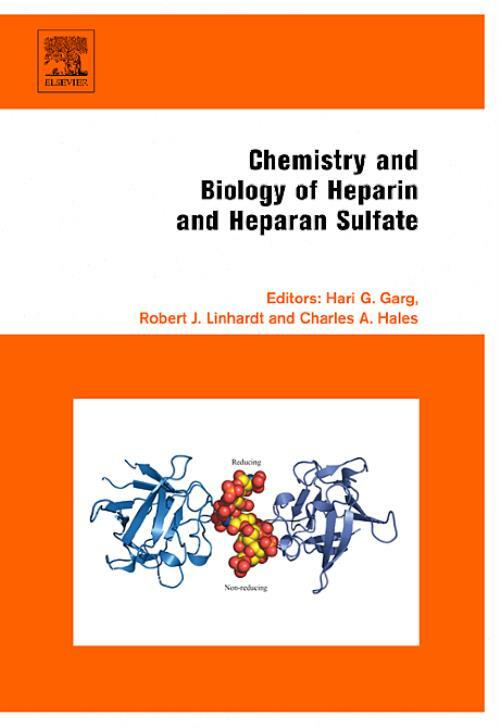 Seperation and Sequencing of Heparin and Heparan Sulfate Saccharides. 7. Biosynthesis of Heparin and Heparan Sulfate. 8. Remodeling of Heparan Sulfate by Extracellular Endosulfatases. 9. Heparan Sulfate Degradation by Heparanases. 10. Lysosomal Degradation of Heparin and Heparan Sulfate. 11. Heparin Regulation of the Complement System. 12. Surface-Based Studies of Heparin/Heparan Sulfate-Protein Interactions: Consideartions for Surface Immobilisation of HS/Heparin Saccharides and Monitoring their Interactions with Binding Proteins. 13. Heparin Activation of Serpins. 14. Role of Heparin in Fibroblast Signalling. 15. Role of Anticoagulant Heparan Sulfate in Mammalian Reproduction. 16. Glycol-Splitting as a Device for Modulating Inhibition of Growth Factors and Heparanase by Heparin and Heparin Derivatives. 17. Antithrombin Activation and Designing Novel Heparin Mimics. 18. Influence of Heparin Chemical Modifications on Its Antiproliferative Properties. 19. Mechanisms of Cell Growth Regulation by Heparin and Heparan Sulfate. 20. Heparin and Low Molecular Weight Heparin in Thrombosis and Inflammation: Emerging Link. 21. Basic and Clinical Differences of Heparin and Low Molecular Weight Heparin. 22. Perlecan: An Extracellular Matrix Heparan Sulfate Proteoglycan that Regulates Key Events in Vascular Development and Disease. 23. Heparin and Low Molecular Weight Heparins in Clinical Cardiology. 25. Role of Heparan Sulfate in Cancer. 26. Use of Heparin Preparations in Older Patients. 27. Advances in Low Molecular Weight Heparin Use in Pregnancy.